By the way....did you know that a Brookings Institute study for NASA in 1960 actually claimed that public discovery of an extraterrestrial intelligence could lead to the collapse of Western civilization? 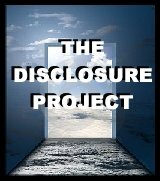 You may recall an announcement on September 10, 2011 by the then Secretary of Defense Donald Rumsfeld, that several trillion dollars from the Pentagon's budget had somehow gone missing and that every effort was being made to find out where it went. "In fact, it could be said, that it's a matter of life and death"
But the very next day was September 11, 2001, and while thirty four innocent civilian accountants, bookkeepers and budget analysts were sitting at desks in the Pentagon, auditing those financial records, a bomb went off, and THEN a large aircraft, doing in excess of 500mph, at ground level, managed to drive right through their department. No people. No records. No investigation. There is substantial evidence that shaped-charge explosive devices were also involved in the Pentagon event. Sixteen eyewitnesses provided evidence of explosives at the Pentagon. This includes the eyewitness accounts of multiple explosions and shock waves; the eyewitness accounts of cordite smells; the fact that the columns of the Pentagon facade were bent outwards as if by some explosive force from within the building; and the explosive destruction and reportedly intense fires from "construction trailers" in front of the Pentagon. In April of 2013, a documentary film is going to be released. It is going to shake you to your very foundation and it is going to rock this planet. You will learn about the military industrial complex President Eisenhower warned us about (because he had already lost control of it.) You will learn about the mega-corporations owned by powerful multi-billionaires which tell elected world leaders, including America's Presidents, that they will be killed if they even attempt to interfere. You will learn where the missing three TRILLION dollars went that Donald Rumsfeld said was no longer traceable as a result of the Pentagon bombing on 9/11. You will learn that alternative energy sources which eliminate the need for fossil fuels have been available for decades, alternative energy sources which could stop Global Climate Change and end famine, but which have been deliberately concealed from the earth's inhabitants to satisfy the naked greed of those mega-corporations. You will learn that interplanetary travel is not only possible, it is already old news, and that there are really two space programs, one for show, using obsolete technology that wastes a fortune in taxpayer dollars simply to conceal the real space program, which is a black-ops style entity, owned and controlled by selfish corporate interests using trillions of stolen taxpayer dollars. You will learn that the massive media campaign (with movies portraying beings from other planets as evil and intent on destroying the people of earth) was deliberately orchestrated and is continually encouraged, to subliminally generate fear and encourage acquiescence to additional restrictions of your freedom. Similar fear tactics (Oklahoma City Bombing and the attacks of 9/11 ) were used to enable passage of the Patriotic Act. You will therefore understand why there is what is known as a "Dead Man's Trigger" already in place. A global wide, multi-locational information dump will flood every known form of media on this planet if the creators of this documentary should fall victim to foul play in an attempt to stop the film's release. The goal set for the budget to produce the film has been reached. 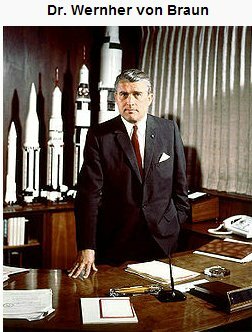 As early as 1974, the physicist and astronautics engineer Wernher von Braun, who NASA called "the greatest rocket scientist in history", warned that a strategy of fear was being used on the American people and that we were going to be subjected to a series of False Flag threats. False flag operations are covert operations conducted by governments, corporations, or other organizations which are designed to deceive the public in such a way that the operations appear as though they are being carried out by other entities. There would be terrorism, attributed to third-world country "crazies". Then we would be told we need space based weapons because of a threat from "asteroids", and finally, he warned, "we are going to [be told we] have to build space-based weapons [in order to defend ourselves] against aliens, and all of it is [nothing but] a lie". Taking A Fresh Look At Pivotal Events In Our Nation's History. Content of this page assembled for non-profit educational purposes.